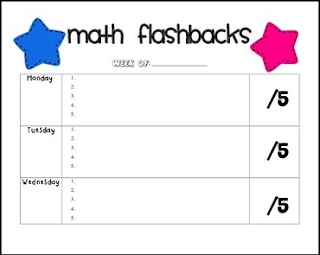 This chart is wonderful for daily flashbacks to review previously taught material. Students are given 5 questions a day at the beginning of math class, and this chart is perfect for them to work out their daily problems and keep track of their points for the week! My students can earn up to 25 points a week.